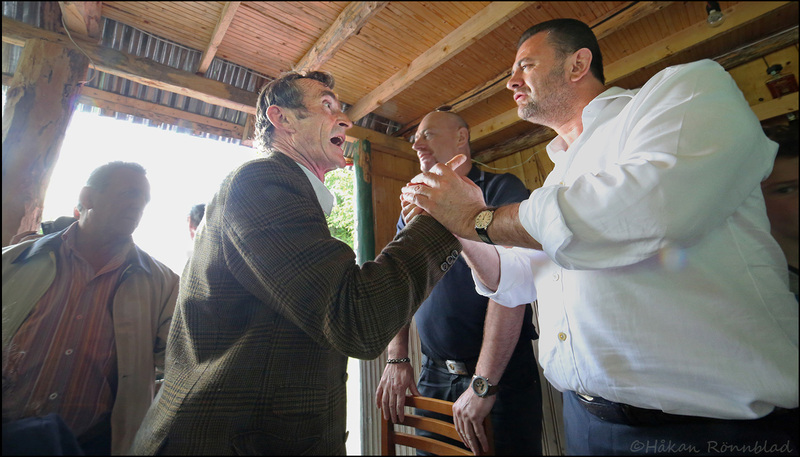 Gjerg and Tom debating fiercely at a political meeting in Thethi valley, northern Albania. The socialist party won the elections a couple of weeks later and Gjerg Harusha (to the left) had to step down from his local power position. This entry was posted in Albania, photography and tagged Albanian election, Albanian political debate, Gjerg Harusha, Gjergj Harusha, political meeting, portraits, socialist party, Theth, Thethi National Park, Thethi valley, Tom Doshi. Bookmark the permalink.